As higher education institutions across the nation move to boost enrollment and graduation, Texas is rolling out an unusual program this month aimed at achieving both goals. 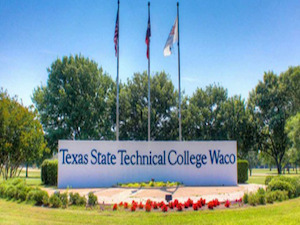 The Texas State Technical College (TSTC) System is debuting its “Money-Back Guarantee” program for technical college students who earn associate arts degrees in specific disciplines and are unable to find jobs within six months of graduation. “It’s a statement to the families of Texas,” says Jeff Kilgore, vice chancellor of the 10-campus TSTC System with some 15,000 students. “We are interested in your interest,” says Kilgore, asserting the new push is simple and works for the state of citizens who participate. The new effort helps TSTC respond to the “debt crisis” many students face, Kilgore says. “A lot of families are looking at the ROI (return on investment),” he adds. Students can walk out with $10,000 of tuition debt and a 90-percent placement rate, he says. “We don’t anticipate significant liability,” Kilgore says confidently. The program pays tuition costs only and provides for reimbursing lenders. The “Money-Back Guarantee” program, which has two phases, says students who enroll in one of five specific associate degree programs and complete the Get-A-Job classes spread over two years of degree studies are eligible for a full refund of tuition if they do not get a job in six months. Kilgore says the initial programs included in the offer are for training in fields—diesel equipment, electrical line worker, electrical power and controls, instrumentation and welding—in which there is high demand for skilled workers. He says the state’s exposure to risk is low as, historically, job placement in those fields is around 90 percent. Jobs in the fields of training covered by the Money-Back Guarantee program historically pay $50,000 to $70,000 and higher, says Bob Livingston, TSTC vice president of industrial relations. Tuition for training in those fields runs around $15,000 at peak, he says. The TSTC move, believed to be the first of its kind in the nation, is the latest effort by Texas leaders to base more and more state funding of public colleges and universities on performance standards that many embrace and some reject as short-sighted. Last year the TSTC System began phasing in a pay system for its instructors and most staff that is based on its overall performance in placing graduates. This month’s refund program is an extension of that shift in direction of funding for the 50-year-old institution. Kilgore says the Money-Back Guarantee program should have strong appeal to a wide range of prospects—to nontraditional and traditional students, given the changing demands of the employment market. He says the program should be of interest to the increasing number of military veterans and four-year college graduates who are finding good paying jobs hard to find. Some need initial training in the skills. Others need retraining in fields in which there is no longer historical demand. “We teach to the greatest need in the state’s workforce,” says Kilgore, emphasizing TSTC’s mission is to train students for “economic development” related jobs. The state’s workforce is “very fluid and dynamic,” he says. Livingston says the 80-hours phase of the Money-Back Guarantee commitment provides coaching for students on applying for jobs and interviewing and resume skills. Employers also are invited to the campus to explain to students what is involved in the kinds of work they provide.